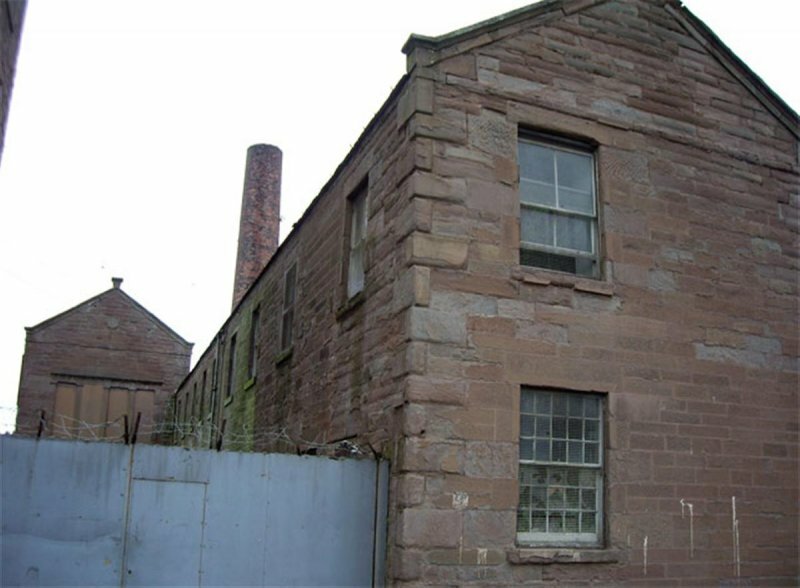 Power loom linen weaving factory, ashlar and squared rubble-built. Slate roofs, Windows multi-paned sash and case, mostly now blocked. Andrew Lowson (1813-1897 a "striking and loveable person") was by 1864 easily the most important manufacturer in Arbroath, having twice the horse power at his disposal and twice as many employees as the nearest competitor. 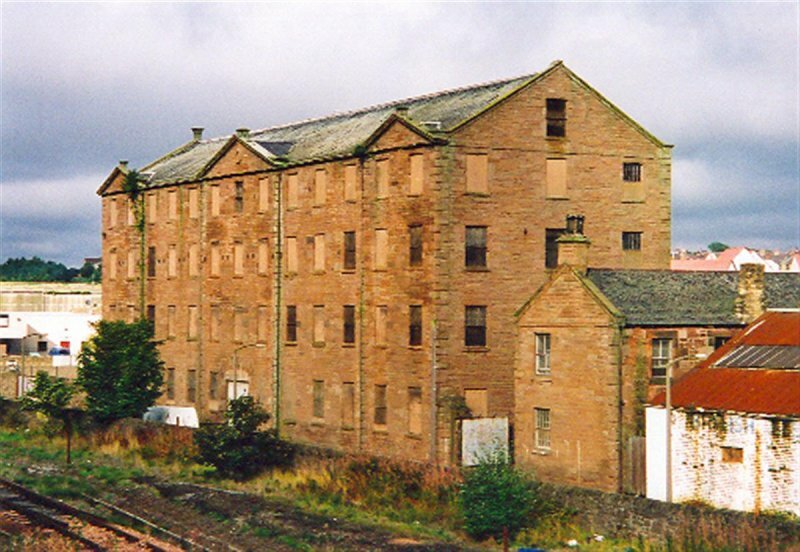 Following Lowson's death, and injudicious overseas investments by his sons, all eight of his mills were put up for sale. In 1905 only one of the six mills was at work, and in 1948 the firm wound up. Thereafter Baltic Works had a new lease of life as a whisky bond that ceased c.1990. 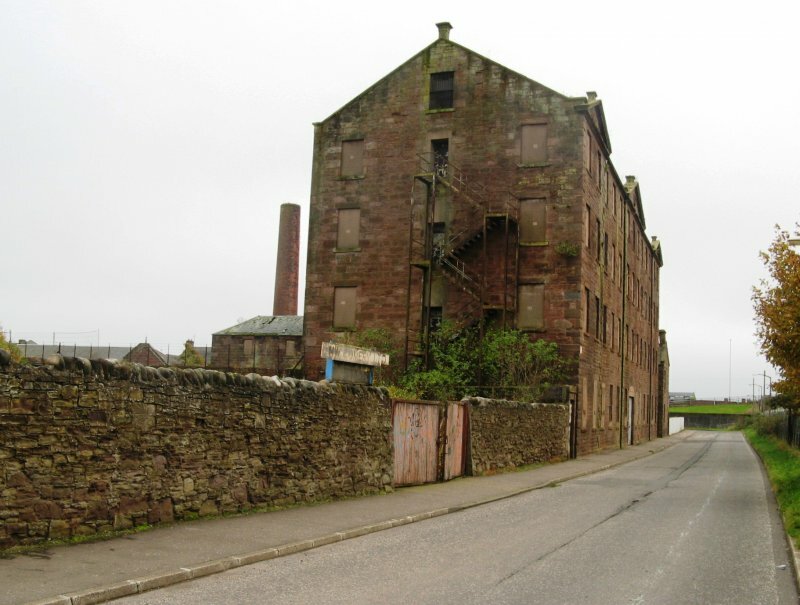 In Angus the surviving fireproof mills are (2003) one in Brechin (East Mill, 1837), and three in Arbroath, (Baltic, 1852, and Alma Works 1857, and Brothock Mill/ Arbroath Herald, later part built c1890). 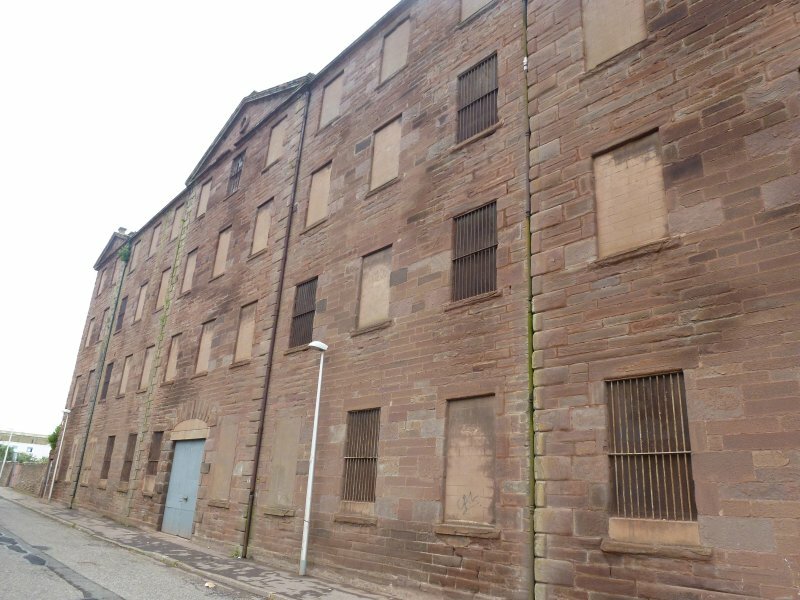 The form of roof and advanced quoined bays suggest familiarity with the Alexander Thread Mill, Duke Street Glasgow, by the architect Charles Wilson (1849) and Tay Works and Edward Street Mill, Dundee (both 1851). 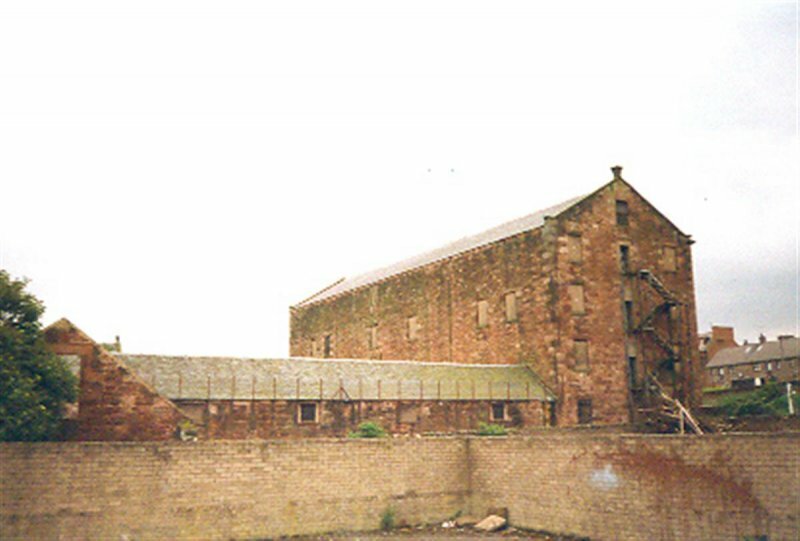 October 1997: The warehouse stands disused and boarded-up. 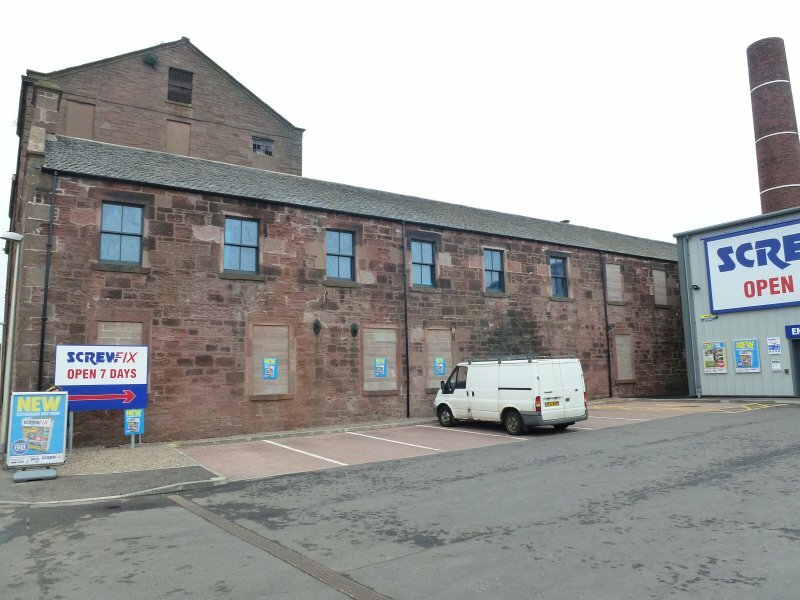 Arbroath Warehouse Ltd has now applied to demolish the building, though SCT is objecting on the grounds that no structural reports accompany the application. SCT advances its retention and incorporation into any new development. November 1997: The building is marketed by James Barr and Son, Glasgow. June 1998: A planning application is submitted by the new owners J. Carswell Properties. 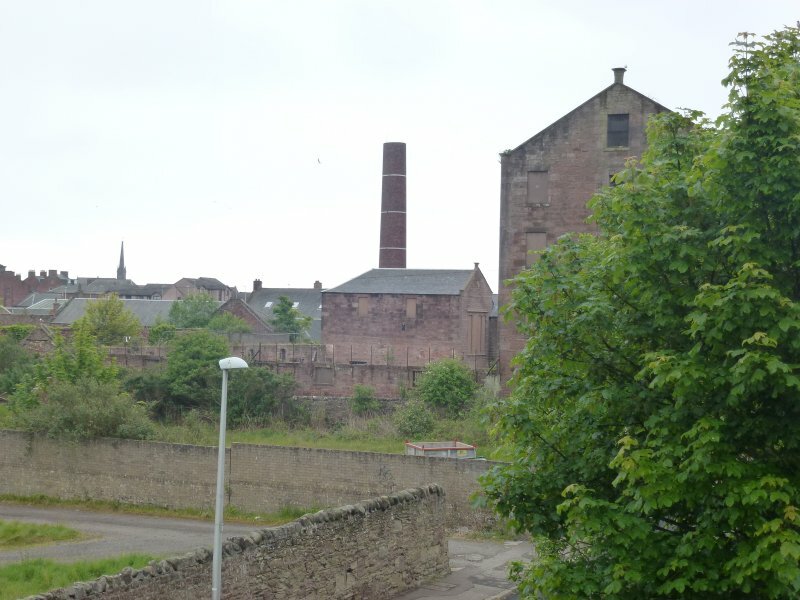 It is proposed to retain the front façade, but demolish the weaving shed to the rear and the last mill chimney in Arbroath in order to create site access and a car park for any future residential development. SCT welcomes the retention of the façade, but continues to object to the remaining demolition. In particular, SCT advances the retention of the 2 storey side wing with its landmark chimney. August 1998: The Dundee Evening Telegraph reports that the demolition application is to go before Angus Council's Development Control Committee. The Planning Director has recommended refusal. Similarly, Historic Scotland has objected to the demolition proposal. November 1998: The application is approved by Angus Council, and referred to Historic Scotland. 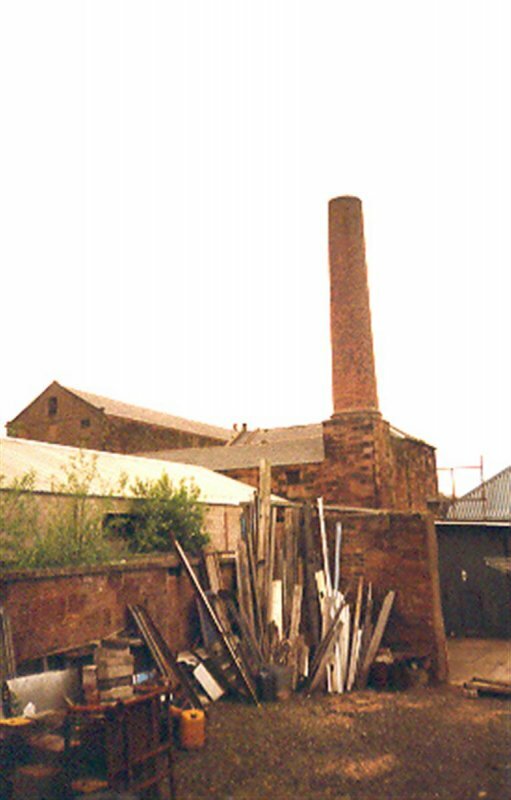 November 1999: A planning application is lodged for the demolition of the chimney. December 1999: SCT strongly objects to the application. 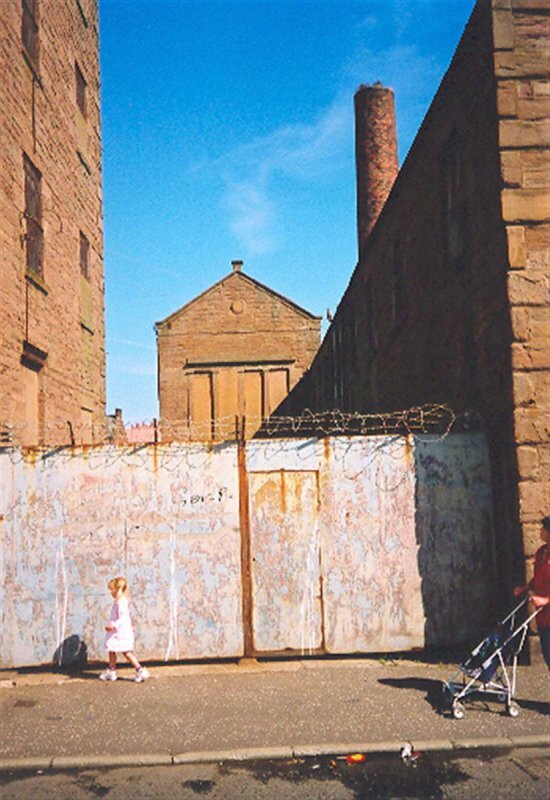 March 2000: The application to demolish the chimney is refused. 2001: Historic Scotland reports that some of the flagstone flooring has been lifted. October 2003: Local planners understand that there is some interest in converting the building into a call centre or flats. 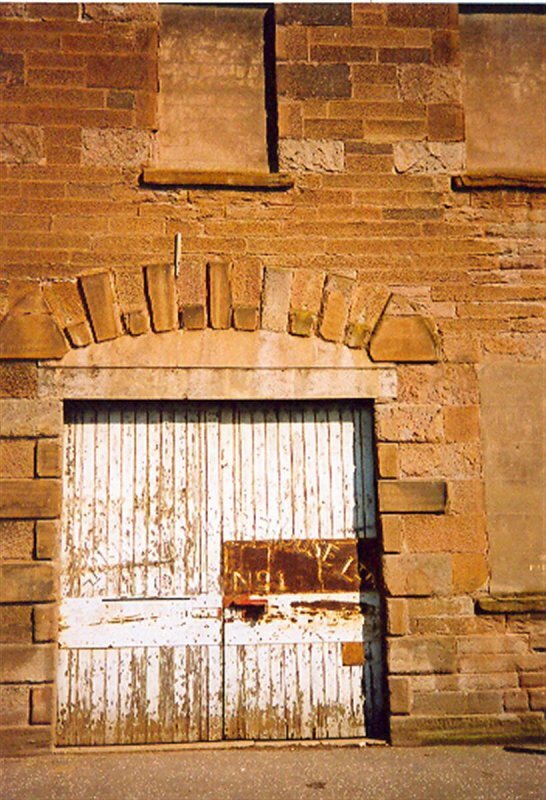 December 2003: Historic Scotland reports that the building is now A-listed. A Public Local Inquiry is to be held into a superstore development on the adjacent site. May 2005: Local planners report that they are unaware of any change. 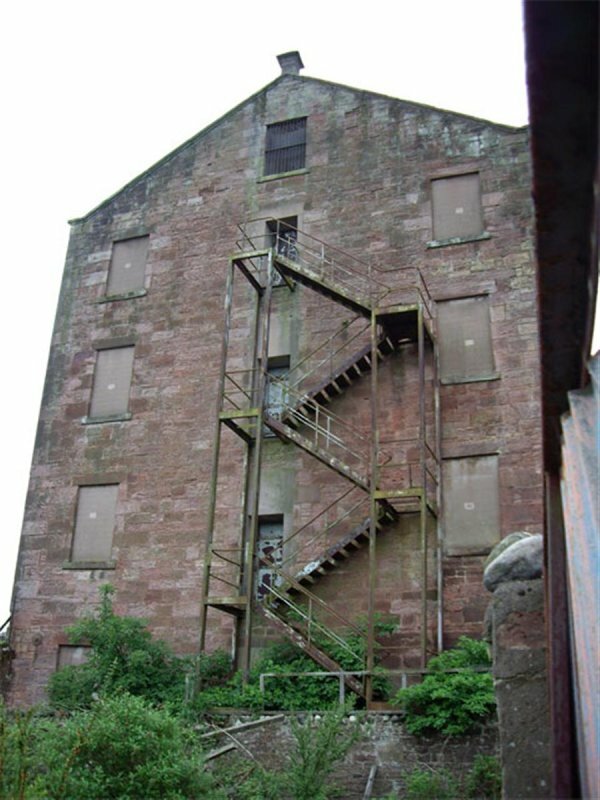 June 2008: External inspection finds the building remains vacant. There is vegetation growing on flat surfaces. Most windows are boarded over, some window glazings are broken. April 2009: Local planners report discussions are ongoing with the agents for the owner regarding development of the site. 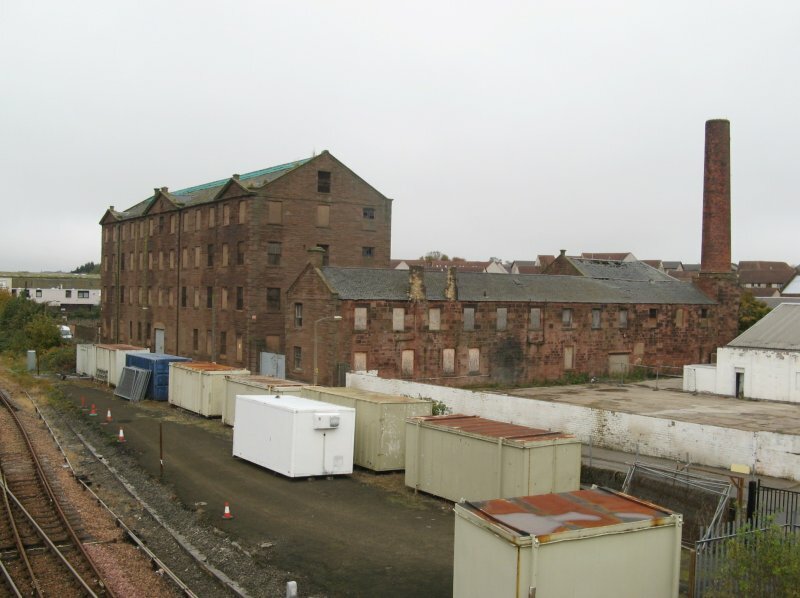 May 2010: Broughty Ferry Guide & Gazette reports developers are awaiting a decision on a revised application (09/00156/LBC having been withdrawn) for the Mill. 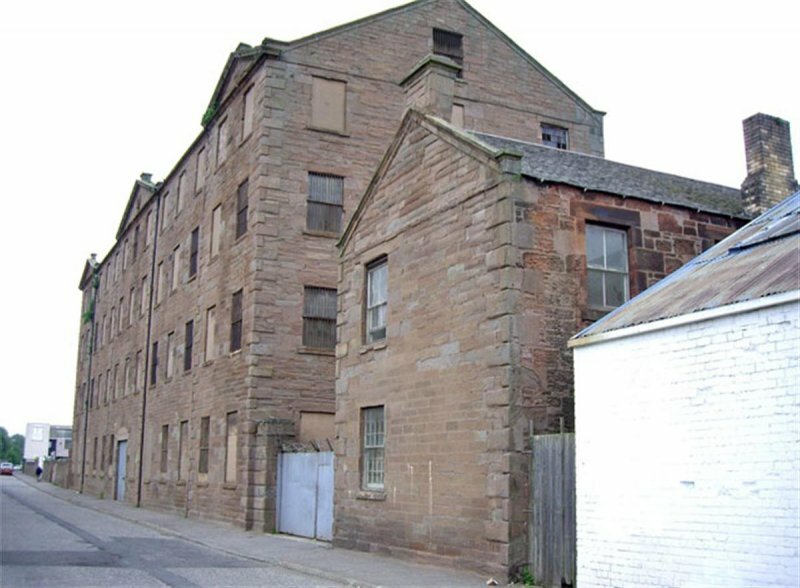 A revised application has been lodged for change of Use From Vacant Whisky Bond to Flats, Construction of 16 New Build Flats, Creation of Ground Floor Car Parking. 10/00189/LBC & 10/00188/FULL. March 2011: The Courier reports planning permission has been granted for the redevelopment of the site. Listed Building Consent was approved, with conditions, Feb 2011. 23 October 2012: External inspection finds some temporary repairs to the roof on the main building. The south wind has a badly deteriorated roof at the East end. Overall condition has deteriorated since the site was last visited. 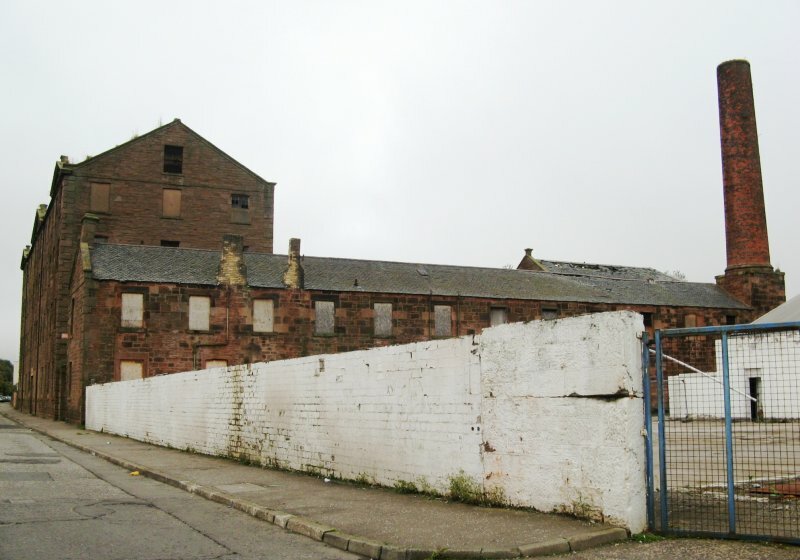 24 April 2014: The Courier reports on approved plans to convert the former mill works to 39 affordable properties - for medium to low cost rent. 30 June 2015: A member of the public notes the conversion of the former works is now underway. The Courier reports on a site visit by Housing Minister Margaret Burgess. The overall project is to be completed in phases with the first being the creation of retail units and business start up accommodation. The next phase will involve the creation of 36 dwellings for mid-market rent. 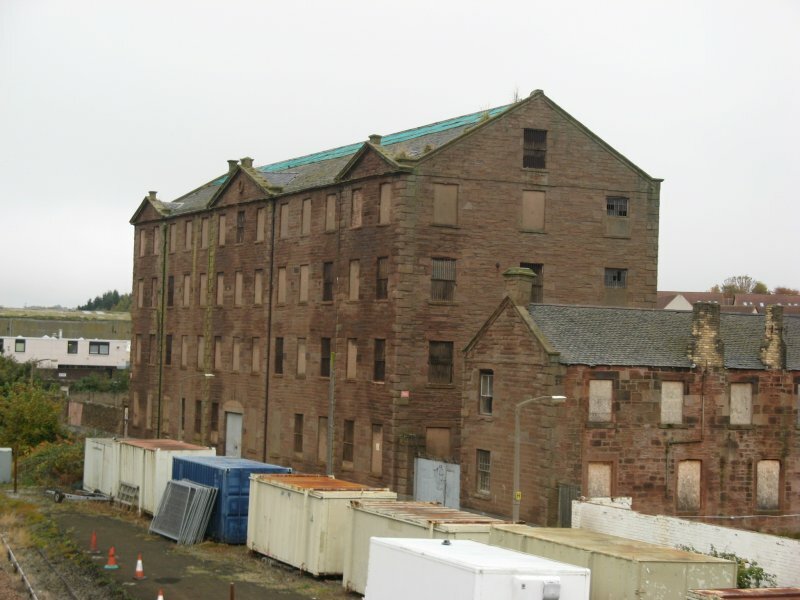 The project has received £1.08m funding from Angus Council’s survive and thrive programme and £800,000 from the Scottish Government’s Regeneration Capital Grant Fund. Moved to Restoration in Progress. 8 June 2016: External inspection finds one range has now been substantially restored. The remainder of the complex is subject to a long-term restoration plan. Hume (1976-1977), vol. II, p122; Minchinton (1984), p178.